On the surface, the calm exterior of archaeology is that of scrapping away at an already eroding mass of earth, with the hopes of revealing remnants of ancient pottery or jewelry. Contrary to Hollywood’s idea of archaeology and exploration, most people would be more incline to assume that the life of an archaeologist is lacking in glamour. However, within the profession there is still adventure to be found, especially by the likes of Joseph Zarzynski. 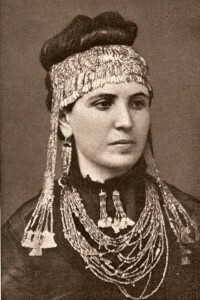 Zarzynski is an archaeologist in the purest sense, studying and excavating the hardest to reach areas in search of answers to better understand previous life. Although the life of Zarr, as he is referred to by his friends and equally admirable crew, is not exactly the movie style action-adventure that is implied, it is picturesque. Zarr and his crew dive deep into Lake George here to better observe a long lost ship wreck, the 1758 Land Tortoise Radeau. 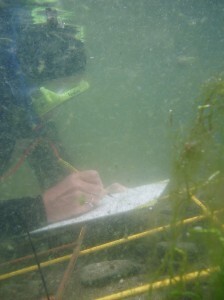 Here really is where the beauty of an archaeological project may be found. It is where the mundane procedures of a respectful and well-thought out excavation meet the sheer excitement and wonder of identifying and examining this lost scene. The tedious process of safety procedures such as decompression stops and archaeological necessities like mapping the area culminate with the awe of investigating such a fantastic wreck to create something that everyone can care appreciate. 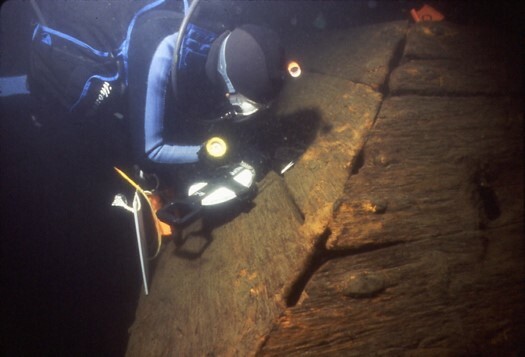 What becomes attractive to those who can appreciate the archaeological significance of such a find such as archaeology students and Zarr’s fellow archaeologists is the history that is preserved through the rotting wood and creaky boards of the ship. It is said that what is written down in history is that which is meant to be known, but archaeological finds reveal that which people did not want future historians to discover. 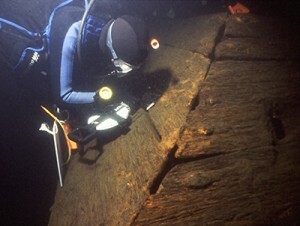 After much mapping together of the sunken radeau ship and research of what the area was years ago, Zarr’s team was able to successfully construct a mosaic of the structure, using photographs taken underwater alongside the more modern tool of Photoshop. The efforts of the crew eventually added to the formative historical analysis that the ship was purposefully sunk in an effort to preserve it for later use, but settled lower than intended. This was described in soldier’s journals, but the condition and fate of the radeau that was left was something that could only be exhumed through the scientific processes of archaeology. In addition to the sole scientific and historical benefits of such a feat, the archaeological project also displayed to the public the importance of such work. The general public of the Lake George Beach area now has a better understanding of their origins, and an enriched sense of identity with the addition of the wreck into the National Registrar of Historic Places. The undertaking of the archaeological excavation of the Land Tortoise ultimately served as a link between the archaeology of real life and movies, and of the mundane and fantastic. Lakegeorgemirrormagazine.com. 2013. Joe Zarzynski | Lake George Mirror Magazine. [online] Available at: http://www.lakegeorgemirrormagazine.com/tag/joe-zarzynski/ [Accessed: 1 Oct 2013]. Blacklaserlearning.com. 2013. Shipwrecks: Lake George Radeau | Vince Capone Marine Science and Adventure. [online] Available at: http://www.blacklaserlearning.com/adventure/lake-george-radeau/ [Accessed: 1 Oct 2013]. Sometimes You Have To Dive Right In. When one hears the world archeology, (one unknowledgeable or untrained in the discipline anyway), images of Egyptian pyramids and cities filled with treasure buried in the jungle come to mind. But the real “treasure” of archeology of course, is what the artifacts that remain after a civilization is long gone, tell us about the culture and history of the people who left them behind, in ways that the written record simply cannot. You may be surprised to learn that some archeologists never even put shovel to earth. Joseph Zarzynski is just such an archeologist. A soft-spoken, balding man with an infectious grin, he maps and explores the sea bottom. Yet, the fascinating artifacts he uncovers rival anything found in a subterranean vault. Zarzynski spoke with our class about his team’s investigation of sunken ships in Lake George, left behind during the French and Indian Wars of the 18th century. One must understand that Zarzynski and his team did not just arbitrarily decide to explore Lake George. First they undertook a comprehensive examination of the history of that period. Apparently, during that time period waterways such as Lake George were a source of transport and trade as well as home to a variety of military encampments. Often vessels were purposely sunk in the shallows ahead of the coming winter to prevent opposing troops from utilizing or burning them. Then, using the scientific method, they formulated a research question, decided the best way to explore their question, acquired and processed data, and then analyzed and interpreted the data. Their chosen site still was not easy to explore due to the many administrative headaches they encountered in acquiring permits for their dives. 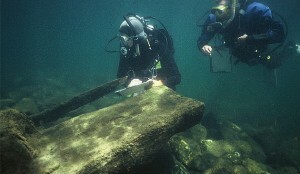 What they ultimately found in Lake George was an intact radeux, (French for raft), which had been intentionally sunk. However the depth of the lake that area was too deep to make raising the raft feasible in the 1700s. 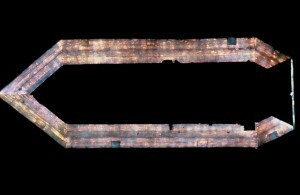 Thus, this 52 foot long, 82 foot wide floating gun battery known as the “Land Tortoise” was still there to be found in 1990; the earliest known warship of its kind. The “raft” contained no gold doubloons or six headed statues, and in fact, the ship was never even raised, but it contained provided priceless information about the time period when it was created. 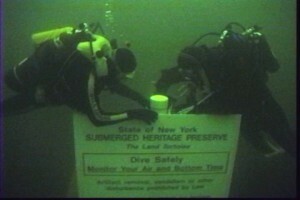 The discovery of the Land Tortoise lead to the creation of the 1987 Abandoned Shipwreck Act, and the New York State Submerged Heritage Preserves. In fact, in 1998, the Land Tortoise was declared a National Historic Landmark. Better than any book about the period, the maps and photographs captured by Zarzynski and his team, bring alive that time in history when Lake George was a site of war instead of a picturesque tourist destination. That is what real archeology does. Think of the opening scenes of the classic 1997 movie Titanic. Better yet, watch the first minute of the trailer and note the portrayal of the researchers. As the happy people of 1912 wave goodbye, the present day “archaeologists”—who are really just adventurers—sink to the depths of the underwater site where the Titanic rests. While this movie wildly promotes the stereotypes about archaeology, it did get some things right. The point of archaeology in general is to understand more about the past and to learn the stories of individuals without the bias of historians. If we can understand the life of the individual, we have a better grasp on what the average life was like for a certain group of people. This movie is incredibly well known. If this portrayal is so influential as to how people think about underwater archaeology, shouldn’t there be more accuracy in the representation of such an important method in understanding our past? In comparison to the presentation we heard by Joseph Zarzynski on the underwater archaeology of the Land Tortoise colonial warship in Lake George, NY, Hollywood and real-life archaeologists have two completely different ideas of what underwater archaeology is. 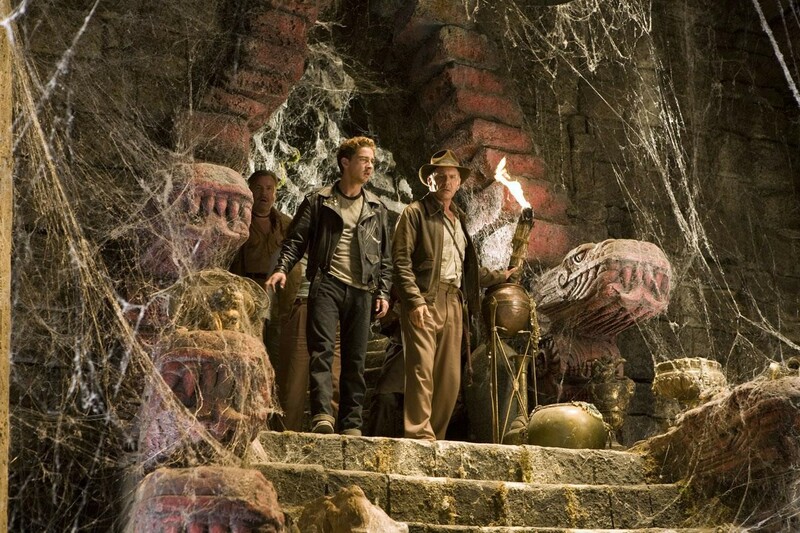 In the movie, there is one goal for the researchers on the boat: finding the necklace. Just like every representation of archaeology in the media, the science is skewed to be more attractive. The greedy archaeologist has no greater ambition than to find the incredibly rare diamond. The viewers will now think archaeology is about discovering lost ships and finding hidden treasure that has been lost for years. In reality, archaeologists rarely find anything big. Archaeology is most useful for the smaller parts of life. An archaeologist could spend hours just surveying the land and figure out what the past uses for that area were. While this seems insignificant, it could help a farmer better use the land for his agriculture or tell a town about the schoolhouse their ancestors all attended. Archaeology can improve the lives of people today. 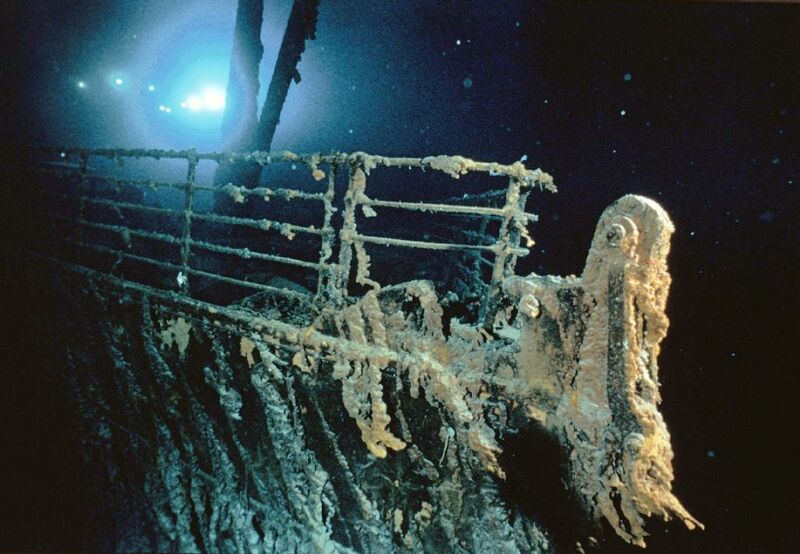 This is a picture of the sunken Titanic taken by Dr. Robert Ballard on July 5, 1985. When archaeologists first started looking at the Land Tortoise, they had a procedure to follow. Since they would have to dive down 100 feet to do anything and they only had around 16 minutes for each dive, they had to plan out what was to be accomplished. There were no impulsive dives like the ones to search for the necklace in Titanic. Zarzynski and the other archaeologist also practiced minimally invasive archaeology. This means they weren’t tearing the boat apart in order to learn more about it, but preserving it for others to observe and learn from. They didn’t move any of the planks and certainly didn’t break into the boat to find an artifact they weren’t even sure was there. 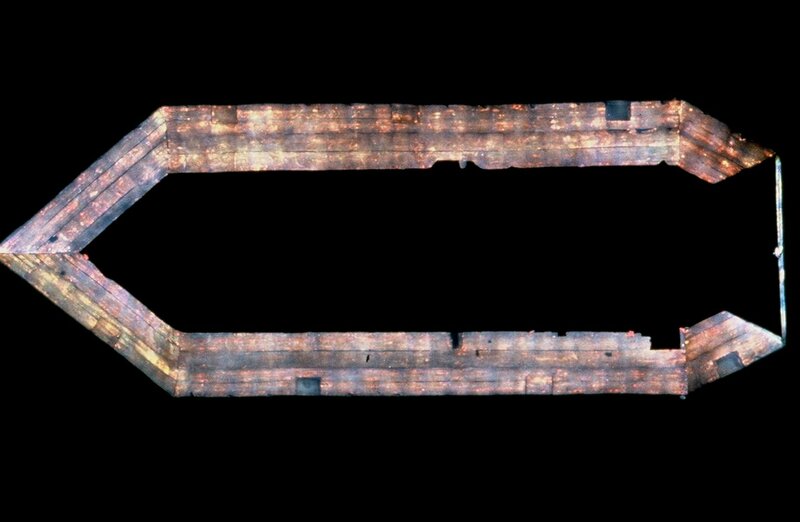 They spent most of their time underwater mapping out the Land Tortoise and taking photos to put together a visual of what the ship looked like when it was initially sunk. The real treasure of this archaeology is gaining an understanding of how the past of this boat relates to our present and sharing that with the public. “New York.” Archaeology Program. National Park Service, n.d. Web. 29 Sept. 2013. <http://www.astrosurf.com/luxorion/qsl-ham-history-titanic.htm>. What actually is archaeology? How is it useful to us? Archaeology isn’t the glamorous profession of finding gold and precious objects that many people believe it is. It also doesn’t involve excavating everywhere either. Archaeology can be conducted in many different ways other than excavation. Surveying the land is an important aspect to the archaeology process, through this process you detect and record any and all surface features on the land. 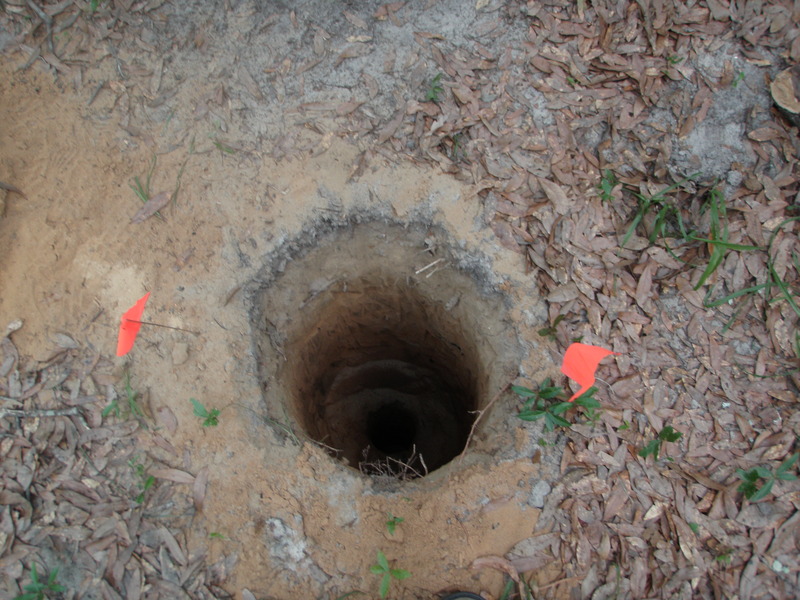 By surveying the surface you can make conjectures about the subsurface features that could also be there. Mapping and using gps is also important in real life archaeology. Unlike movies and other stereotype filed media, archaeologist don’t just stumble upon caves and marvelous ancient artifacts. They do extensive mapping and record keeping, in order to survey the land and find features that could hold keys to the past. Shovel test pits are used to locate artifacts as well as learn about the stratigraphy of the soil. 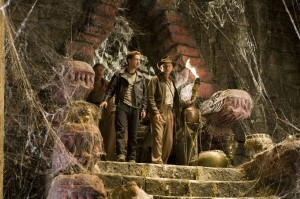 This is also contrary to the idea of archeology brought about by movies and television. There are also many ways of doing archaeology that you might not think of, just ask Joseph Zarzynski who is an underwater archaeologist. 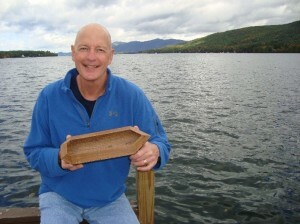 He did work in Lake George where he and his team uncovered a warship from the French and Indian war. They then turned the site into an underwater research park where scuba divers can come and observe the wreak and learn more about American history as well as archaeology. Many people wouldn’t believe this is a type of archaeology but then again many people don’t know what archaeology is. All of these techniques are useful and allow us to learn about our past to better our future. this is not what it is always about. Archaeology is not about finding an object. It is not about an object at all. Archaeology is about finding the story behind the object, the history of the person who made it, owned it, or took care of it. The artifacts mean nothing if there is no context. Without this context, you would not understand the past or the lives of the people throughout history. If you were trying to find out about a culture, a tribe, a family or a single individual, where would you look? Do not look in the most obvious places, where you know you are guaranteed to find something, or you know what it is you will find. Look places that you would never have though of looking, or where maybe the treasure isn’t (if there is any) because the real treasure is finding something that tells you about the person or people that you would have never know before, something about their “secret lives”. This could be anything, what they did when they are not being watched by the authorities, or by their neighbors. A hobby, a skill, or a lover can be discovered. A stereotype can be broken. Something about a culture could be found, that you never thought could be possible. When a person or a tribe moves a place, they don’t leave what is important to them, they leave what they think they don’t need, that they can survive without, that they find unimportant. 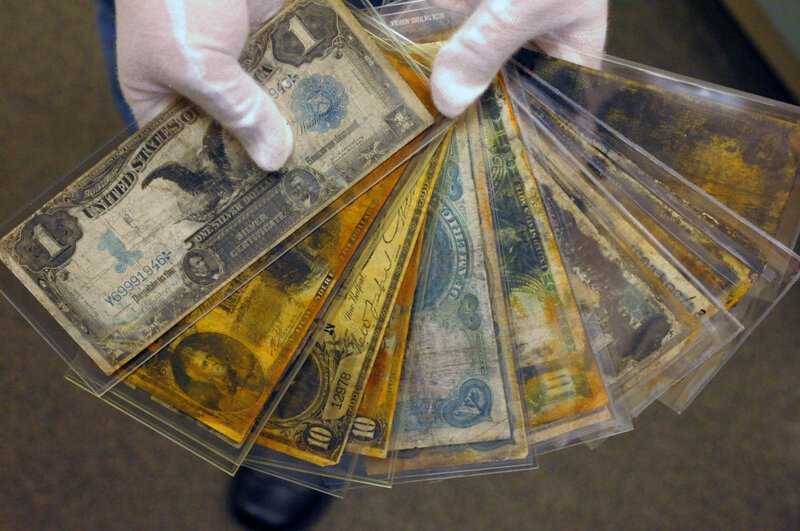 But this is just as useful in discovering the past, because by knowing what they didn’t need, we find out just as much about them then knowing what they brought with them. Looking in doorways, where people drop items out of their bags or pockets, or trashcans and dump sites, can be just as important as looking in a temple or a grave. Both in modern and ancient times, surveying or excavating a place where people might leave things behind, discard items, or not be in the public view, you get a sneak peak into the real, unfiltered life of someone. why would he leave something so important behind? I think this is what I have really taken away from my learning and increased knowledge about archaeology. That it is the little things that count, the artifacts that tell you something about someone that maybe they didn’t want to be known, or finding something that breaks assumptions, changes stereotypes, changes peoples opinions about a culture. I think from now on I will see archaeology as a way to find things about the past, so we can better help the present and future. Archaeology is finding artifacts that explain a different outlook than the written records, providing a deeper insight into the public’s perception of what happened. With archaeology you can reevaluate history and change peoples perspectives. It’s a bird! It’s a plane! It’s aerial survey archaeology! Aerial photography, the most common type of aerial survey, has revolutionized the archeological community over the past hundred years. The seed was planted in 1858, when Gaspard Felix Tournachon took the first recorded aerial photograph from a hot air balloon. His plan was to use the photos to create maps, but the idea of aerial survey began to circulate, and the first aerial pictures of Stonehenge were taken in 1908. With the onset of World War I, Europe experienced a significant advance in aviation technology, and archaeologists began to fully realize aerial photography’s potential to revolutionize the field. Aviation technology has made leaps and bounds since 1918, and so has aerial photography. Today, archaeologists divide photos into two distinct categories: vertical and oblique. Vertical photos are taken at high levels, usually from planes, while oblique photos are most commonly taken closer to the ground, with handheld cameras. Within these types, there are three stages in the process of aerial photography. First, the archaeologist takes the pictures, which is called reconnaissance. Then, he or she looks at other surveys of the same land to identify changes in the landscape. This is called the archive search. Finally, comes the mapping stage, in which he or she interprets the information gained from the aerial photographs. So, why do we need aerial survey? What can it tell modern archeologists that surface survey and excavation cannot? Aerial photography is crucial when it comes to identifying burial mounds or other surface characteristics not necessarily visible to someone on the ground. In addition, archaeologists can use it to detect the presence of demolished houses or buildings by observing “soil marks” (distinct coloration of the soil as a result of past archaeological features). The presence of subsurface archaeological remains can also change the color and height of crops. These “crop marks” are another way that archaeologists can gain evidence about what lies below the surface of the site prior to the excavation. Non-photographic aerial survey is also useful, because it employs tools such as radar and thermography to penetrate vegetation, and detect archaeological features based on their temperature in relation to the soil. Aerial survey has revolutionized the field because it allows modern day archaeologists to get a sense of the layout of their sites before excavation, or even surface survey begins. Additionally, it provides many clues about potential features that surface survey cannot. But most importantly, aerial survey injects a sense of the big picture into a field dominated by minute details. While these tiny pieces of evidence are crucial during surface survey and excavation, a larger perspective, or a bird’s eye view in this case, can make all the difference in understanding the past. “AARG: Short Introduction to Aerial Archaeology | Aerial-Archaeology.” XML. AARG, n.d. Web. 28 Sept. 2013. <http://www.univie.ac.at/aarg/php/cms/Aerial-Archaeology/short-introduction-to-aerial-archaeology>. “Aerial Photography.” Learning Archaeology: Pre-Ex:. Past Perfect, n.d. Web. 28 Sept. 2013. 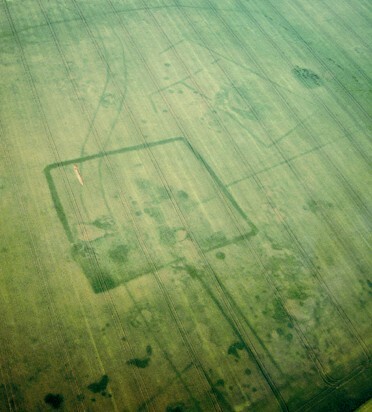 <http://www.pastperfect.org.uk/archaeology/aerialphoto.html>. “Aerial Survey for Archaeology.” English Heritage Home Page. N.p., n.d. Web. 28 Sept. 2013. <http://www.english-heritage.org.uk/professional/research/landscapes-and-areas/aerial-survey/archaeology/>. Sharer, Robert J., and Wendy Ashmore. 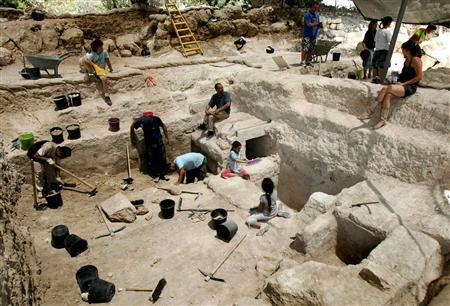 Archaeology: Discovering Our past. Mountain View, CA: Mayfield Pub., 1993. Print. 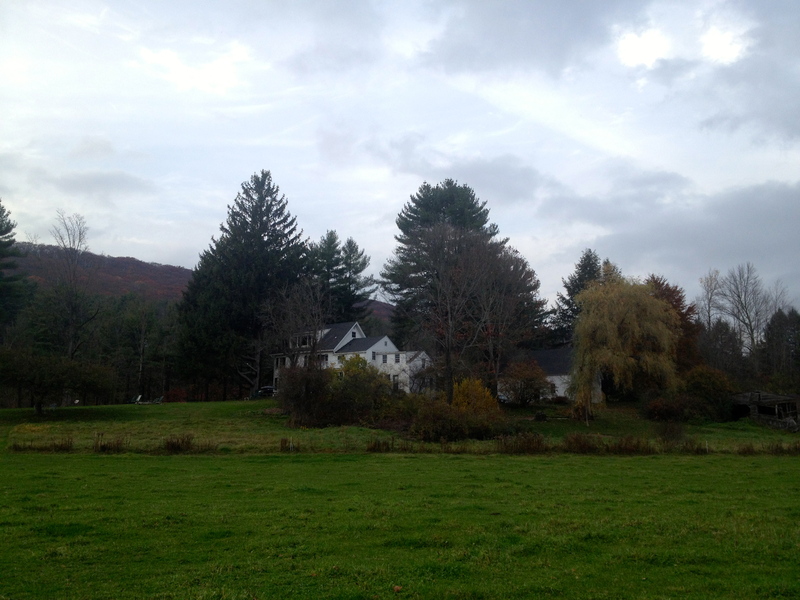 When I was a kid, summer weekends meant time at the family country house in Western Massachusetts without any cell phone service, Internet connection, or television. Built on an old 18th century farm, there simply isn’t the infrastructure to support those 21st century luxuries. As it turned out, my inability to watch Saturday morning cartoons was a blessing in disguise. Every morning at the crack of dawn I left the house and walked around looking for things. I wandered the lawns and fields and brook looking for things that stuck out from the landscape. I found rusty nails, old bits of tractors and cars, animal bones, bricks, and remains of toppled buildings. I imagined the stories of the items I had found, and like many people who have dug up rusted bits of metal and bone on their property, I thought I had made some pretty important discoveries. “Look!” I thought as I held a rusty piece of farm equipment that I had taken out of the brook that morning in my hand, “this shows so much about those people’s lives!” But what had I really learned? That there had been a farm here? That metal rusted over time? I knew all of those things; I hadn’t learned anything from my precious artifacts. Like so many “backyard archaeologists” I had failed to see my finds in their archaeological context, forgoing any real knowledge of history I could have acquired from them. It simply didn’t occur to me that to learn anything, I couldn’t just go around picking up pieces of metal and gleaning facts about them Sherlock Holmes style. I should have mapped out the section of the brook, record the artifacts precise location, asked myself more questions that had never occurred to me. Was this artifact in its primary context? Or had it been uncovered and washed down the brook to where I picked it up? Would further excavation have turned up more artifacts and features? 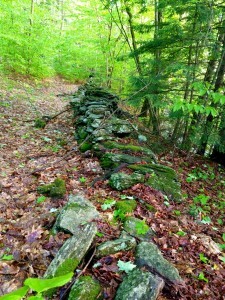 Was the user of this tool the same person who built the stonewall that stands 25 feet up the bank? I didn’t ask any of these questions, I simply pictured some farmer from blurred decades and centuries tossing junk into the water. 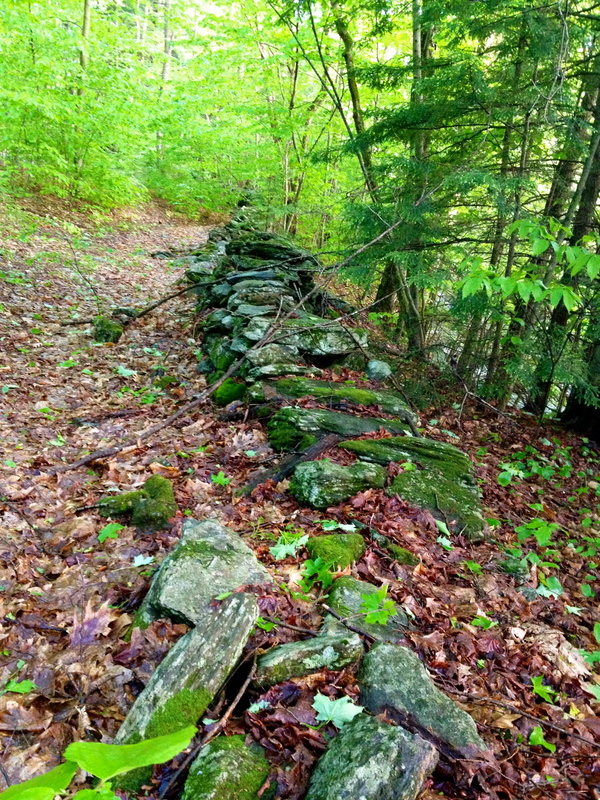 As I’ve become more aware of the complexity of the archaeological process, from surface survey to excavation to data analysis, I think of those artifact I found as a child not as individual pieces of rusted junk, but as a trail of bread crumbs; which upon proper analysis could lead to insights about the history of the property and its transformation from working farm to family house. Maybe next summer I’ll excavate the area of the field where a barn burned down in the 1960s. And this time I’ll actually take the steps necessary to learn something valuable from those little pieces of metal I find. Click here to learn cool things about taphonomy. 2013).” YouTube. YouTube, 21 Apr. 2013. Web. 26 Sept. 2013. <http://www.youtube.com/watch?v=6GvC9p8imEA>. “FOREST HILL CEMETERY TOUR, ANN ARBOR.” YouTube. YouTube, 08 Oct. 2008. Web. 26 Sept. 2013. <http://www.youtube.com/watch?v=HrJ7ae9qV8Y>. “Leopards vs Zebra – BBC Wildlife.” YouTube. BBC Wildlife, 04 Apr. 2008. Web. 26 Sept. 2013. <http://www.youtube.com/watch?v=31H0g8H2A40>. “Mole Popping up and out of the Ground.” YouTube. YouTube, 26 May 2008. Web. 26 Sept. 2013. <http://www.youtube.com/watch?v=OhnfVMxyp0M>. Nye, Bill. “Fossils.” YouTube. YouTube, 29 Apr. 2013. Web. 26 Sept. 2013. <http://www.youtube.com/watch?v=wMAmTACIt_M>. “Pompeii: The Mystery Of People Frozen In Time – History Documentary.” YouTube. YouTube, 25 June 2013. Web. 26 Sept. 2013. <http://www.youtube.com/watch?v=QScagfQC5-w>. “Suicide Forest in Japan.” YouTube. VICE, 09 May 2012. Web. 26 Sept. 2013. <http://www.youtube.com/watch?v=4FDSdg09df8>. “Urban Exploration: Abandoned College for Girls – NY.” YouTube. YouTube, 11 July 2013. Web. 26 Sept. 2013. <http://www.youtube.com/watch?v=V-oo5Mq6FUs>. Heinrich Schliemann. Few have given and simultaneously taken so much away from a field of study. Today Schliemann is best known for being the man who found the likely site of the previously assumed mythical city of Troy, the very same city that was supposedly besieged for ten years by Aegean warriors led by Agamemnon, the city that saw the death of Hector and Achilles and was burnt to the ground after accepting a inconspicuous wooden horse into its walls. The very mention of its name conjures up images of a time when gods spoke to men and a species of heroes fought to the death for glory. And this man, Schliemann, is the one who found the city Homer sang about, and what a magnificent find it is. If only Heinrich Schliemann weren’t also the man who destroyed it. Broadly, the story of Schliemann can be used to highlight particular challenges faced by archaeologists if impartiality is to be preserved. Schliemann was a product of a culture that revered classical Greece perhaps excessively. Without any reverence for the history of the site beyond his narrow interpretation of its importance, he not only failed to find the information he sought, but also disregarded and disrespected the millennia of civilizations that existed on that hill in Turkey. Regardless towards whether or not Hisarlik is the location of Troy in actuality, the sheer volume of material evidence found in it is large enough to be invaluable to a study of past cultures of the region. But as far as Schliemann was concerned, there was nothing of importance there that wasn’t related to one ancient Greek myth, ironically causing him to ignore the only layer of the site that possibly could be related to it. His story should serve as a lesson to all archaeologists: Don’t allow biased expectations get in the way of what the evidence suggests. Fields, Nic. Troy c. 1700-1250. Osprey Publishing. Oxford, UK. 2004. Wood, Micheal. In Search of the Trojan War. University of California Press. Berkley and Los Angeles, California. 1998.